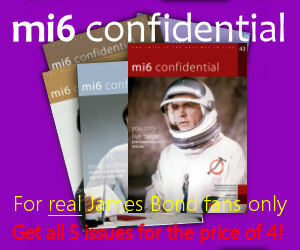 Near the beginning of Pierce Brosnan’s ultimate James Bond film, Die Another Day, we find 007 in Havana in Cuba. 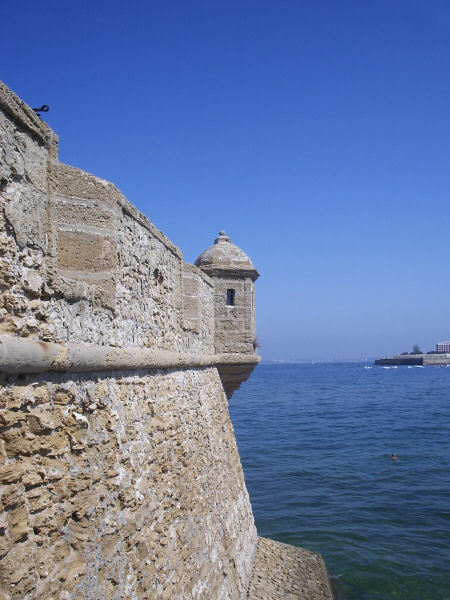 Given that the country has remained off limits since the revolution, the filmmakers were obliged to find a location that could stand in for the Cuban capital, settling on the historic port town of Cádiz in the south of Spain. 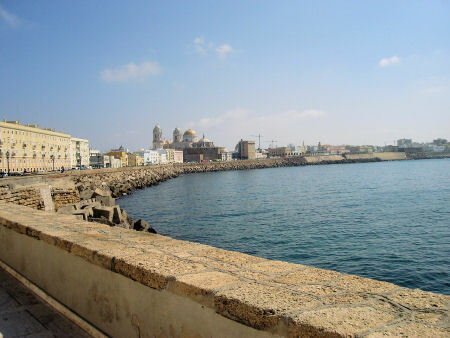 Filming took place in early 2002 and rather than emerging from warm Caribbean waters Halle Berry was forced to endure the rather cooler Mediterranean, but Cádiz matches Havana’s Spanish colonial style well. 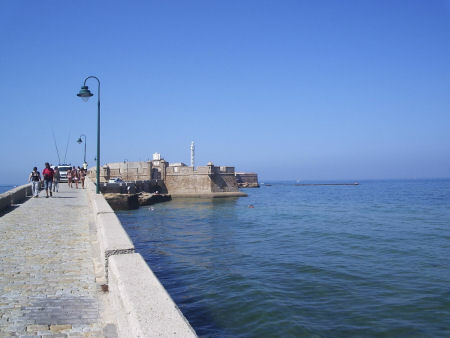 When Bond arrives in Havana by car he is seen driving down Avenida Campo del Sur; Jinx emerges from the water at the beach at la Caleta, with the bathhouse standing in as the hotel; and the castles of San Sebastian and Santa Catalina are used for the DNA clinic at Los Organos. 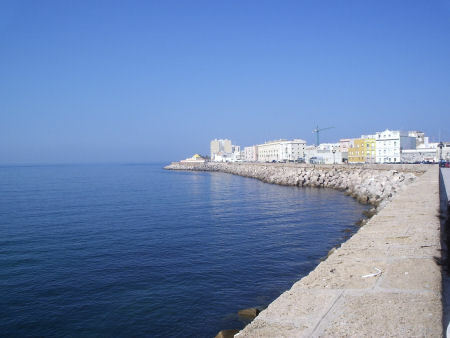 Several years ago, while visiting the south of Spain, we made a detour to Cádiz for a few hours when I managed to take a few photos of the locations, shown here. Avenida Campo del Sur. Photo by David Leigh. San Sebastian castle. Photo by David Leigh. 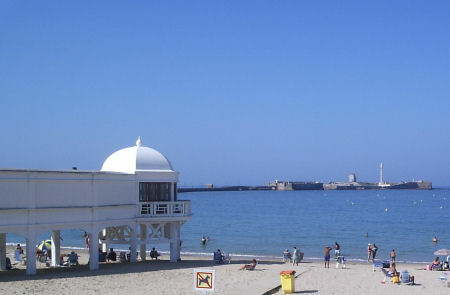 The bathhouse on the beach at la Caleta. Photo by David Leigh. 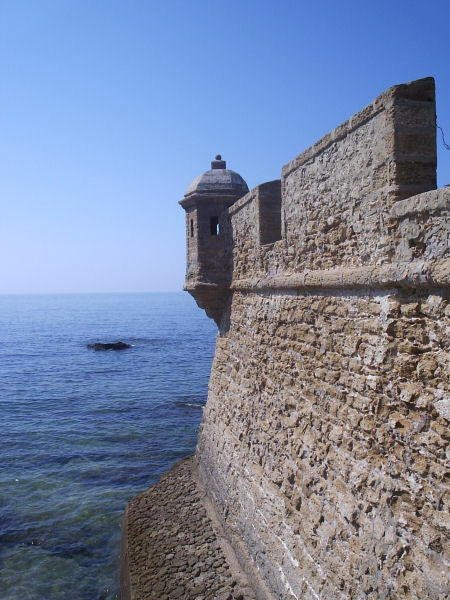 The walkway to San Sebastian castle. Photo by David Leigh. A turret on the castle. Photo by David Leigh. 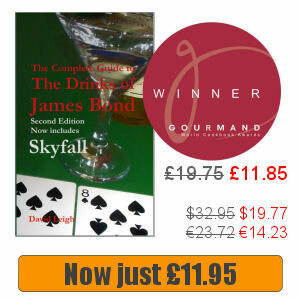 All photos copyright The James Bond Dossier, please do not use without permission.